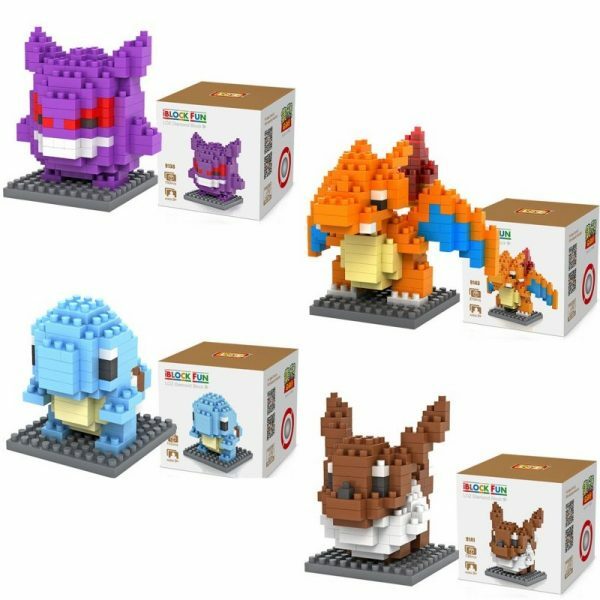 While the enthusiasm for the app on the streets is still partly there, there are the these little monsters here as LOZ brick sets for collecting at home, in the classic brick format. The manufacturer LOZ is the same one who already sells Star Wars and superhero figures, most of them also on GearBest and AliExpress. We had already tested for ourselves that the system works and keeps the blocks reasonable. Playing with them and possibly carrying fights out, the stones might be too loose for that, but once they’re set up, they won’t fall apart by themselves. As with most series, there are more and less well done models. While some come very close to the role models and look really cool, others give the impression that you have stumbled across a glitch in the game. Fortunately, you have some choice. Experience shows that there are always a few more stones included than are needed for the construction, so you also have a replacement if something gets lost.